It’s summertime and that means hanging out with friends, hosting backyard parties, and visiting outdoor festivals. Summer also means hot weather and sometimes a glass of your favorite red is just too heavy. 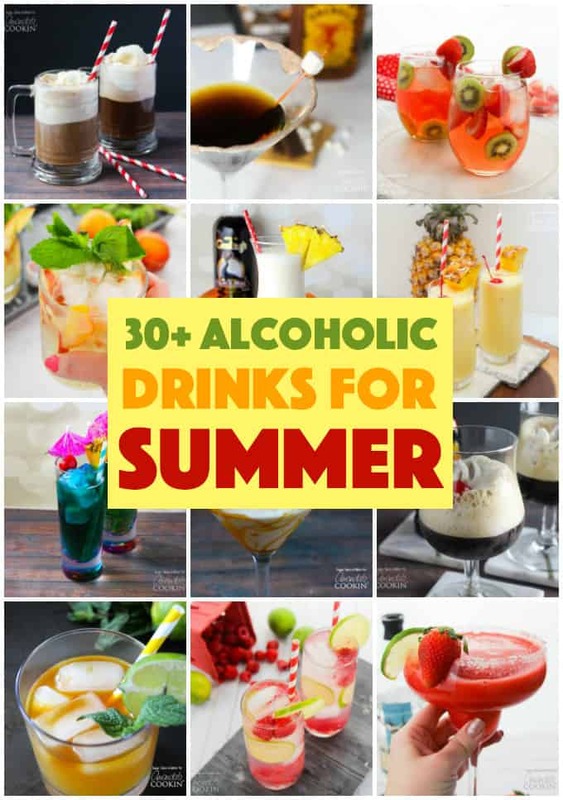 There are plenty of alcoholic drinks that are perfect for summer and we’ve amassed quite a collection! Whether you’re having friends over to hang out at the pool or you just want to show off your bartending skills, you’ll have plenty to choose from here. 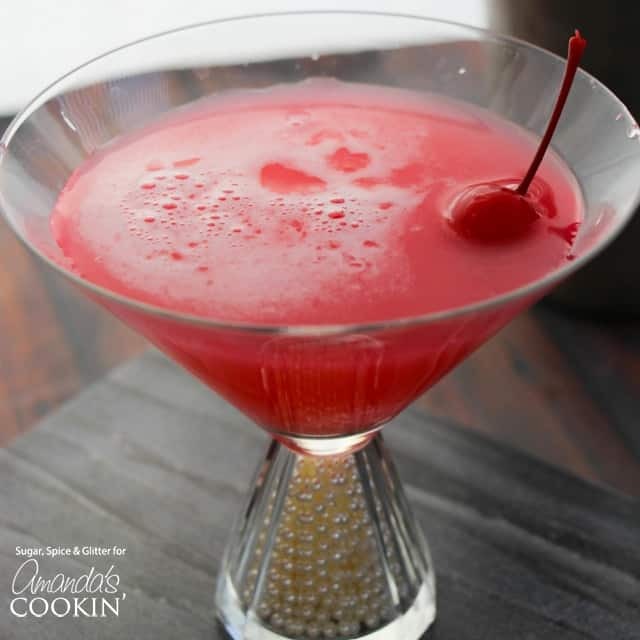 We’ve been mixing up cocktails for a few years on this blog and have put together plenty of tempting choices for you. It’s summer, after all, so right at the top of our list of favorite alcoholic drinks are frosty slushies. We’ve put our blenders to work lately and come up with some pretty delicious slushies, but these are just for the adults. More often than not fruit seems to be involved, but not always! 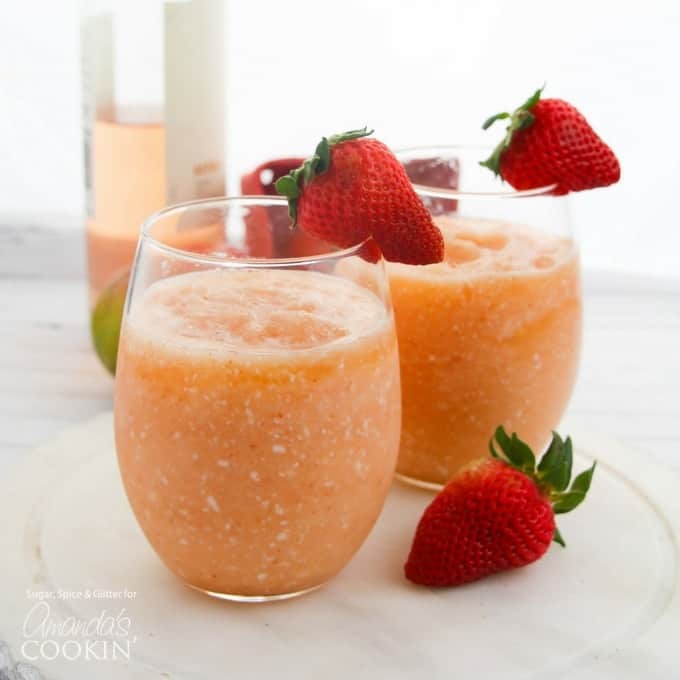 WINE SLUSHIES [Rosé, fruit medley] – Honestly, who knew? This is a real thing, I promise, and they’re very popular! 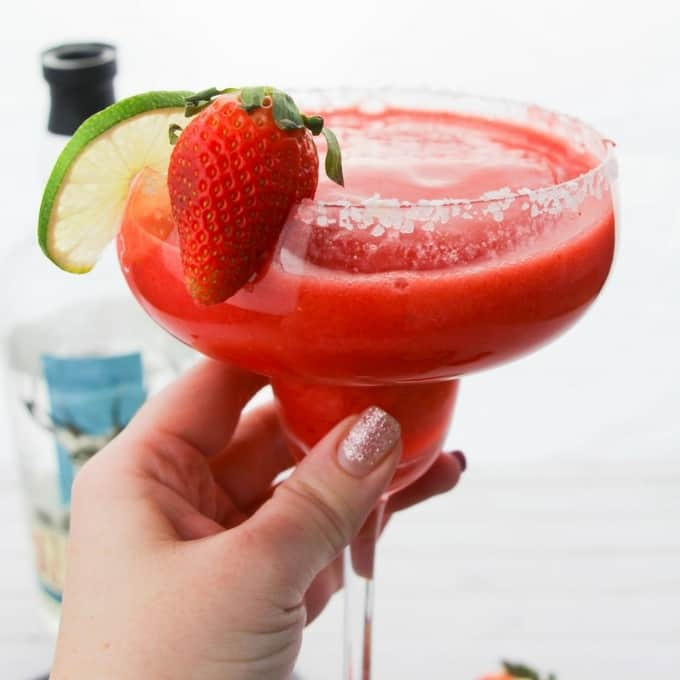 STRAWBERRY MARGARITA [Tequila, strawberries, orange juice, lime juice] – This classic drink can be served over the rocks, or as a slushie, but no premixes here! Just the real ingredients, and it’s easier than you think. 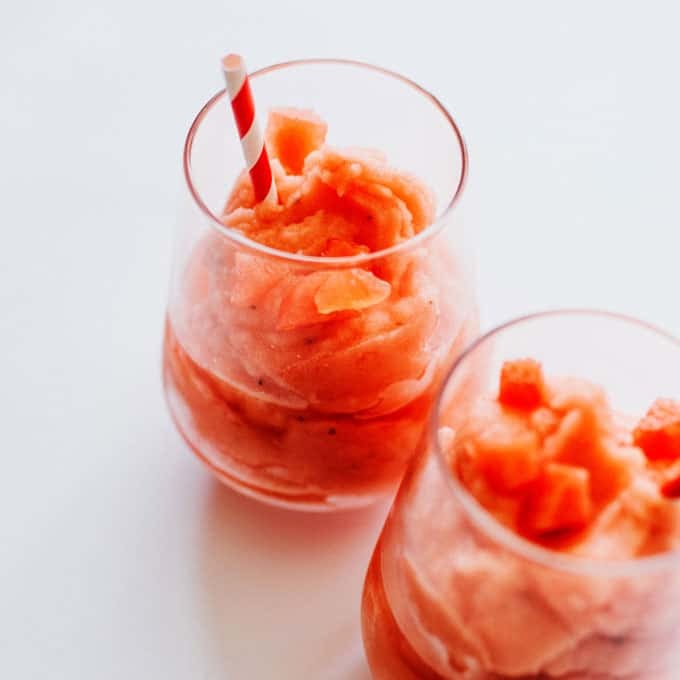 WATERMELON MALIBU SLUSH [Rum, watermelon] – Seriously, I think rum should just be the official alcohol of summer. Pair it with watermelon and it’s a match made in the Caribbean. 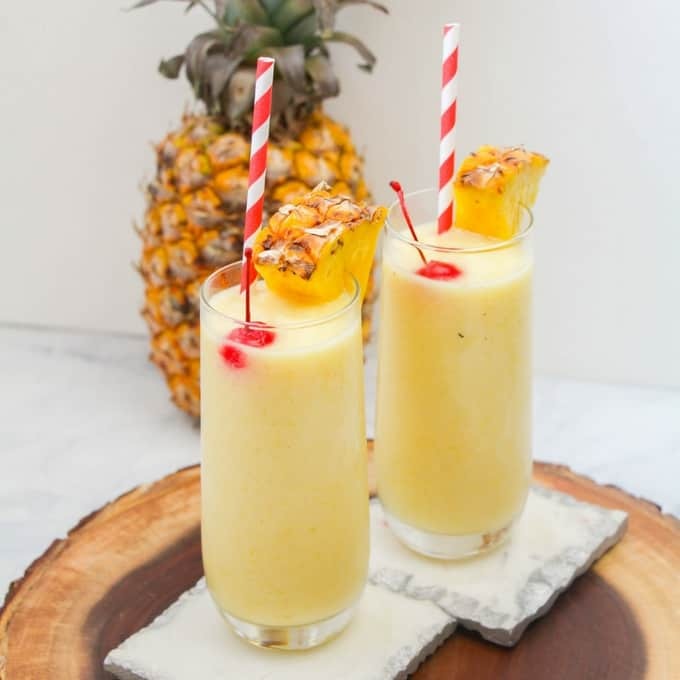 PINEAPPLE RUM SLUSH – [Rum, coconut milk, pineapple] This slushie gets its flavor from frozen pineapples paired with coconut milk, which makes for a pool-worthy companion. 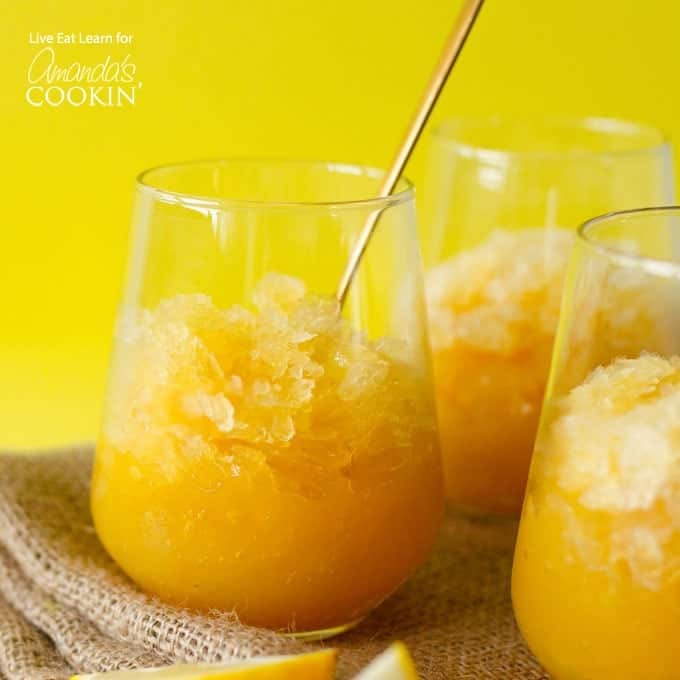 EASY BOURBON SLUSH [Bourbon, tea, lemonade, orange juice] – If you like the non-alcoholic drink known as an Arnold Palmer, then this slushie is right up your alley. KAHLUA FRAPPUCCINO [Kahlua, coffee] – Coffee lovers, this is your cocktail. If ever there was a drink that deserved a dollop of ice cream, this would be it. 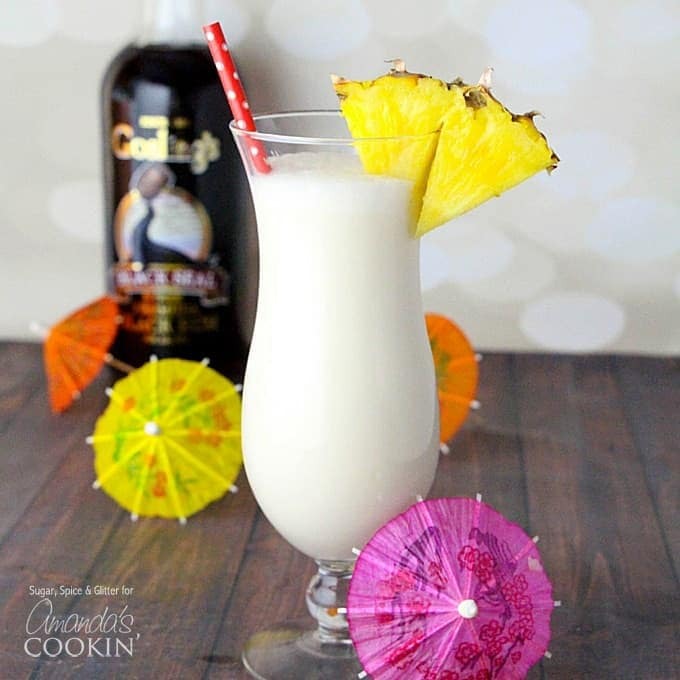 PINA COLADA [Rum, pineapple juice, coconut cream] – Last but not least, the mother of all slushies, the Pina Colada. Summer wouldn’t be summer without having at least one! Slushies aren’t the only frosty drinks getting action around here. Ice cream is a great addition to boozy drinks, and we have several you are going to love! 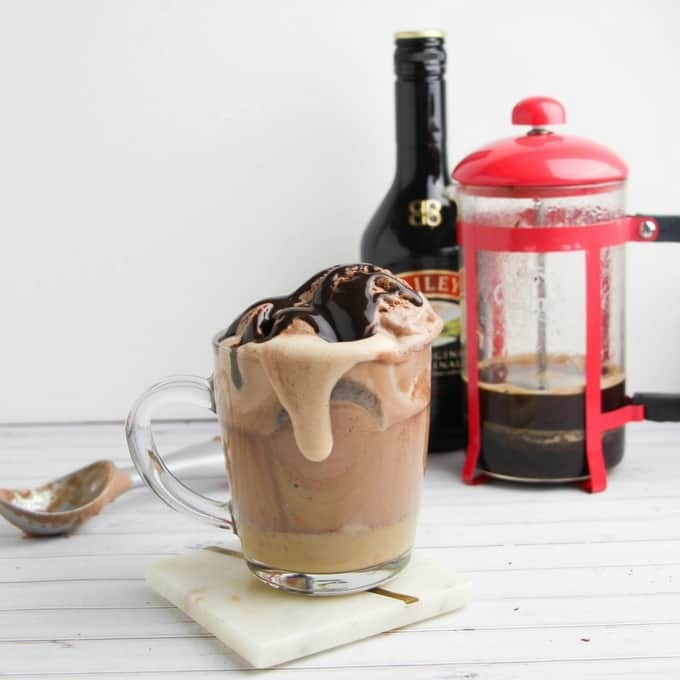 BAILEYS COFFEE FLOAT [Baileys, coffee] – If you’re a Baileys and coffee fan in the winter, imagine that deliciousness with ice cream in the summer! 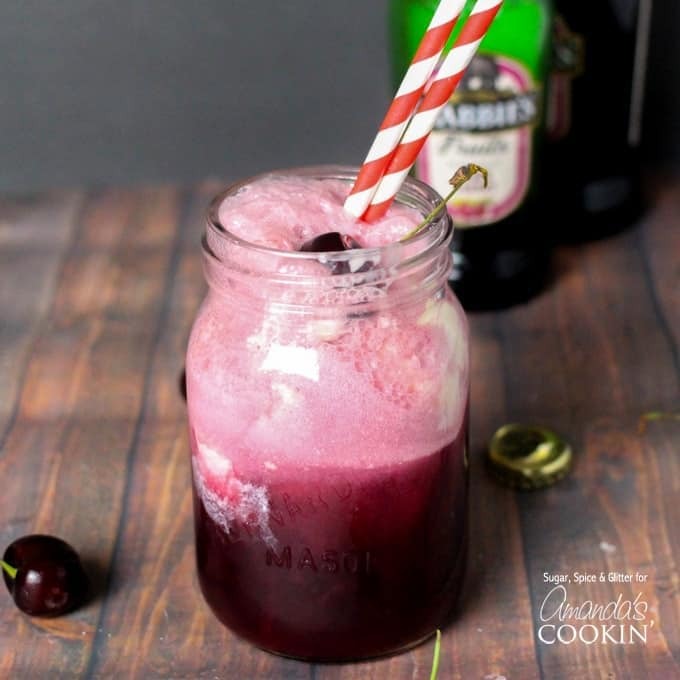 BLACK CHERRY FLOAT COCKTAIL [Black cherry cooler] – This drink is made with a cherry cooler, like Seagrams Escapes. 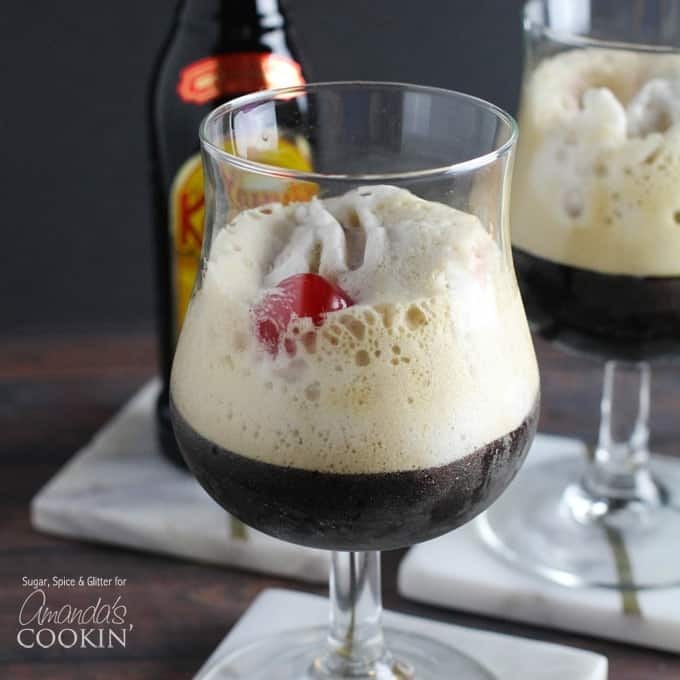 Similar to a soda fountain float only with booze! 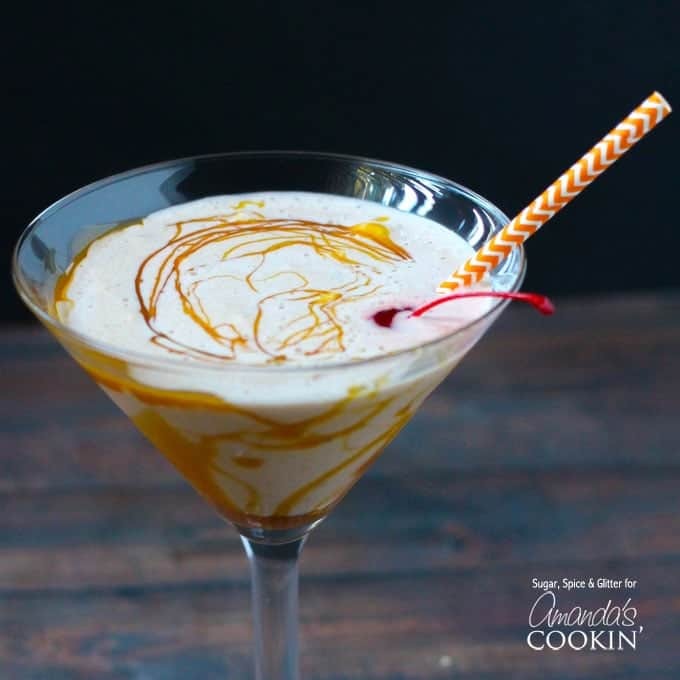 BUTTERSCOTCH MILKSHAKE COCKTAIL [Butterscotch schnapps, Kahlua] – Okay come on, can it get any sweeter? Butterscotch schnapps is the star of the show, but when combined with Kahlua and vanilla ice cream? Look out! 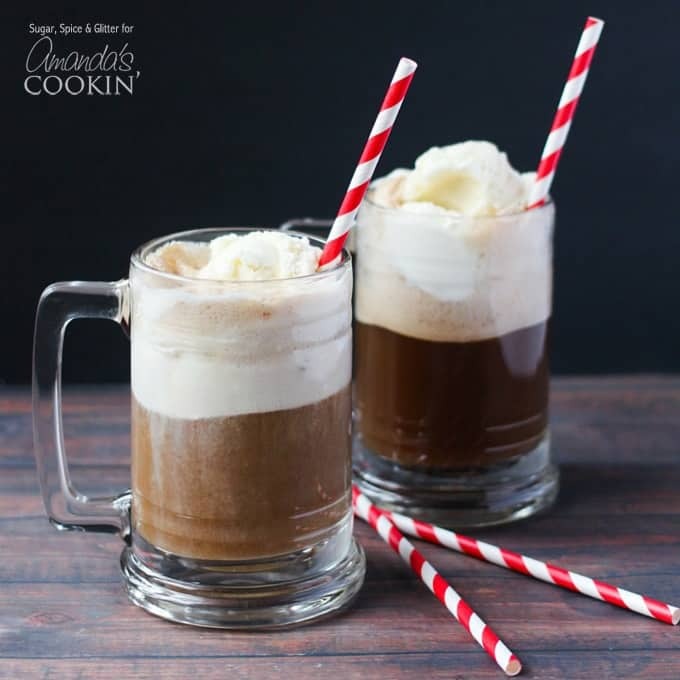 ROOT BEER FLOAT COCKTAIL [Butterscotch schnapps, root beer] – A little nostalgia in a glass! A frosty mug in fact. A root beer float wouldn’t be a root beer float without the frosty mug. 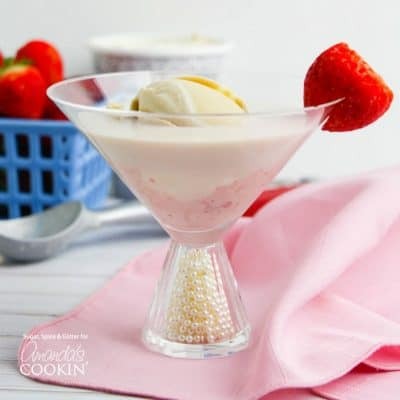 PINK MUDSLIDE [Kahlua, Baileys, vodka, strawberries] – This cocktail is all dressed up, pretty in pink with a dollop of vanilla ice cream. 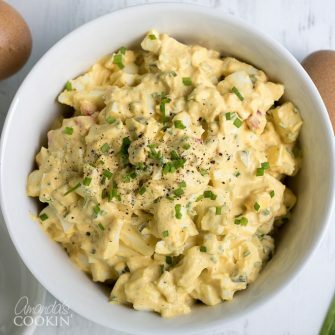 While it’s very popular on Valentine’s Day, we find it to be delicious during the summer months as well. LYNCHBURG LEMONADE [Jack Daniel’s whiskey, triple sec, lemon] – A friend of mine says this is the only alcoholic drink she partakes in during the summer months. PINK LADY COCKTAIL [applejack brandy, gin, lemon, grenadine] – Egg white shaken with ice in this drink gives it its frothy top, very popular at Valentine’s Day as well. 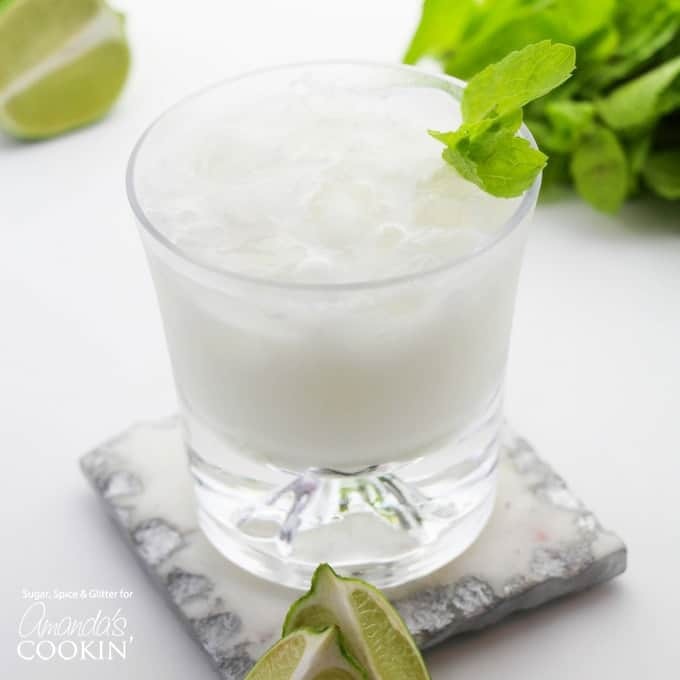 COCONUT RUM MOJITOS [rum, cream of coconut, club soda] – Lime and fresh mint combined with cream of coconut and white rum make for a refreshing mojito that goes down quickly. 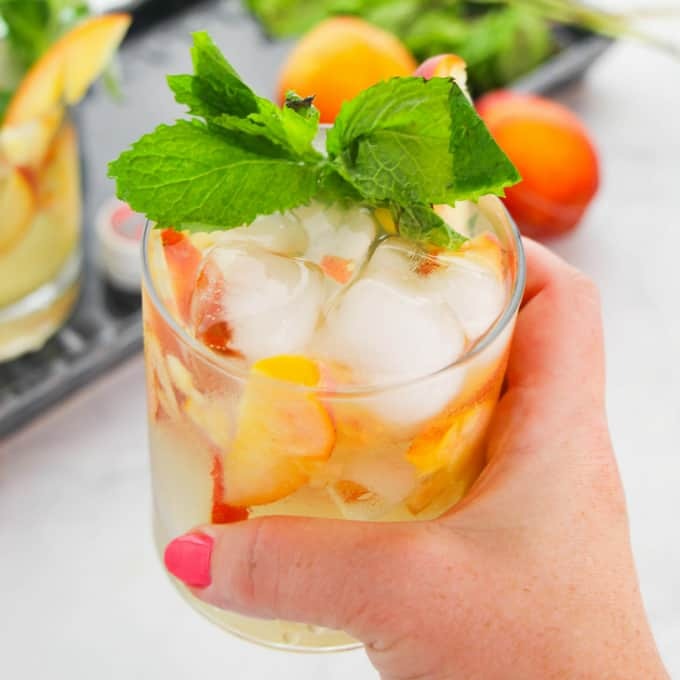 PEACH MOJITO [rum, club soda, peaches] – Peaches and mint put a fun twist on the class mojito recipe, perfect for summer! 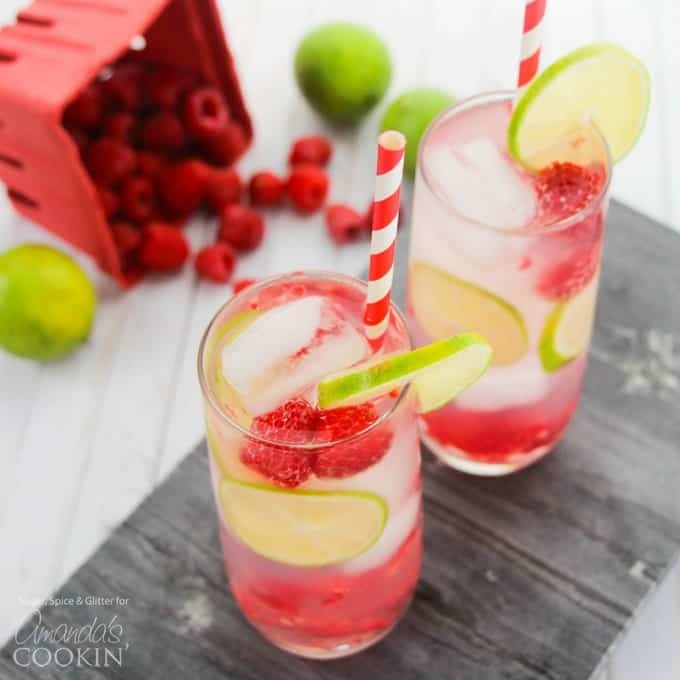 RASPBERRY GIN RICKEY [gin, club soda, raspberries, lime] – Delicious and refreshing this raspberry summer cocktail is a fun, fruity drink with the perfect amount of sweet-and-tart. 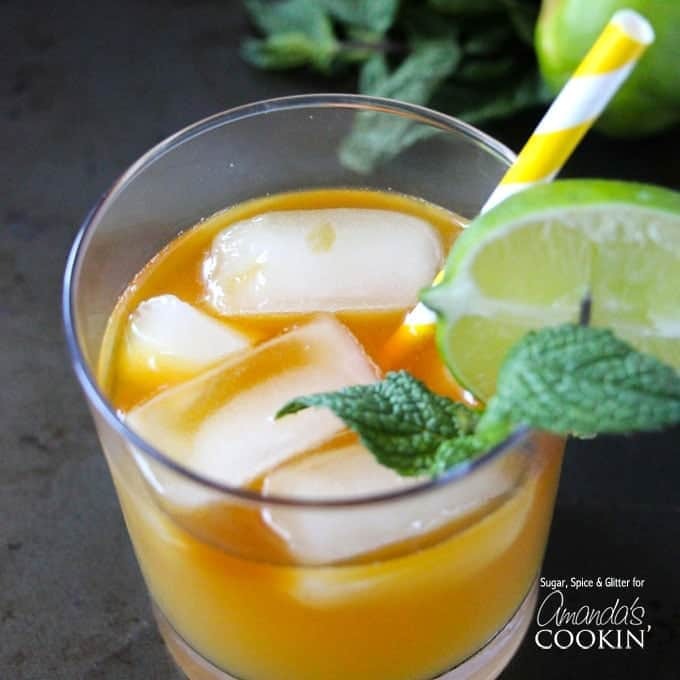 MAI TAI COCKTAIL [spiced rum, orange juice, pineapple juice, orgeat syrup] – Like most classic cocktails, Mai Tais have an uncertain history with two California restauranteur rivals both claiming they invented the drink. 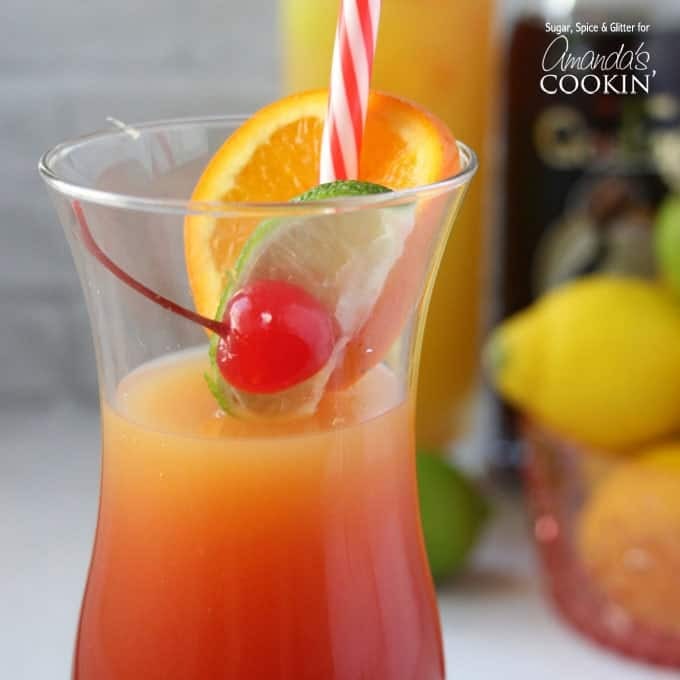 RUM PUNCH COCKTAIL [rum, pineapple juice, orange juice, grenadine] – This is my go-to drink for pool parties, a barbecue or backyard party and my all-around summertime favorite. 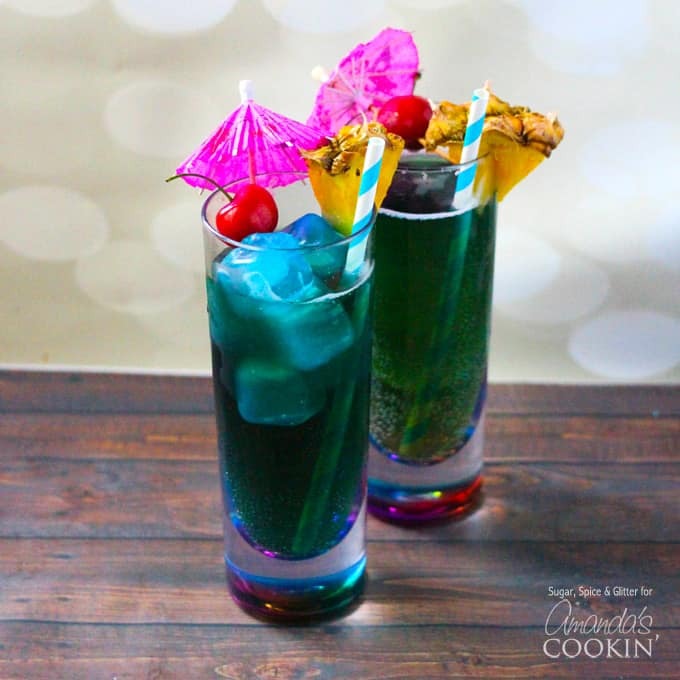 BLUE MERMAID COCKTAILS [Blue Curaçao, cream soda] – Inspired by a drink called the Blue Lagoon this cocktail is perfect for the poolside. 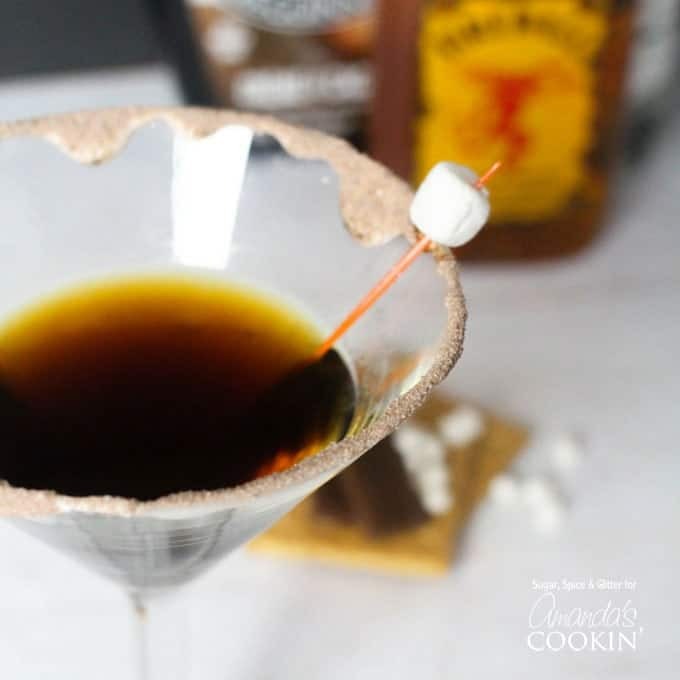 S’MORES MARTINI [Marshmallow vodka, Fireball, Creme de Cacao, high proof vodka or rum] – Nothing says summer like piping hot, melty s’mores from the campfire, and bonus: you can even light it on fire for an exciting drink for entertaining. 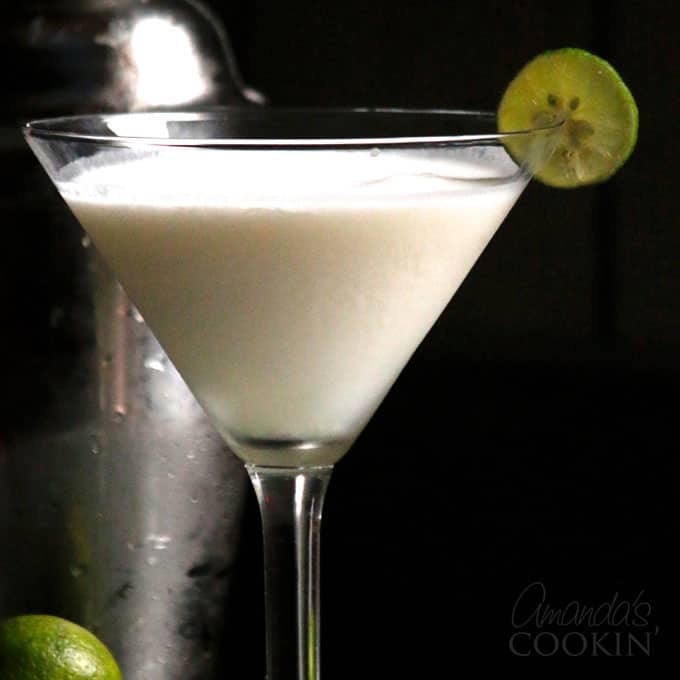 KEY LIME PIE MARTINI [coconut rum, vanilla vodka, pineapple juice, cream, key limes] – This dreamy martini was inspired by a cocktail about the Island Princess in their Wheelhouse Bar. WATERMELON JELLO SHOTS [vodka, watermelon or strawberry jello] – Impress your friends! 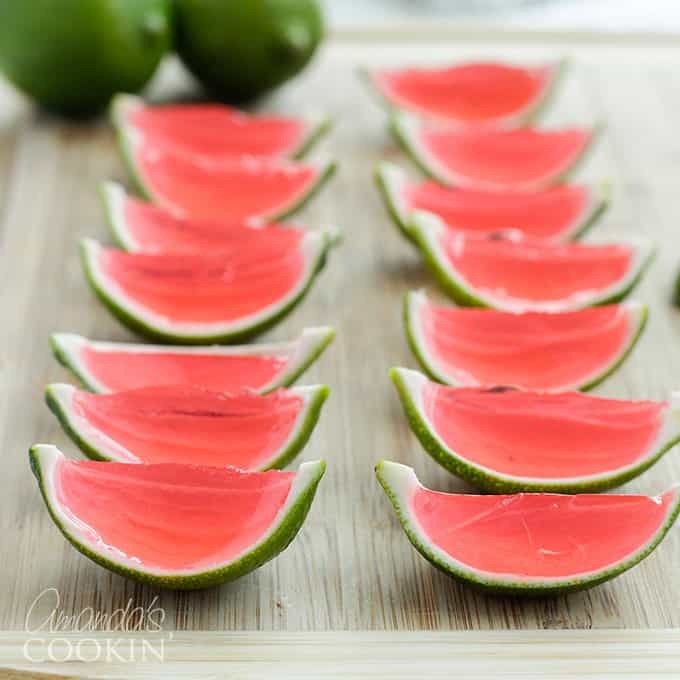 Make jello shots that look like mini watermelons or slices of a big watermelon. 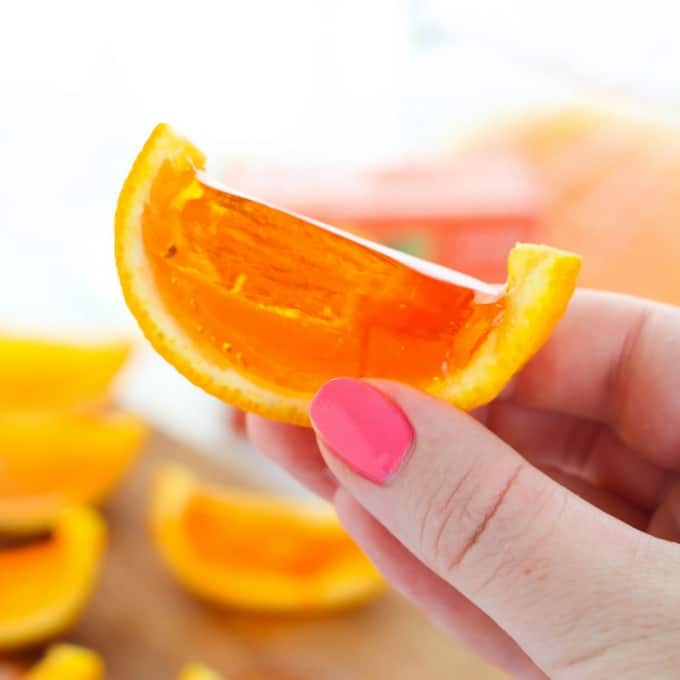 ORANGE JELLO SHOTS [vodka, orange jello] – Like our watermelon jello shots, these are made in the rind of a fresh orange. RUM CRUISER MARTINI [rum, coconut rum, pineapple juice, orange juice] – This drink is a new addition to our alcohol library, be sure you try it this summer! I love my wine, but I also adore a good sangria. But there’s more than just a sangria that can be made from wine or champagne. Try one of these tasty mixers this summer. 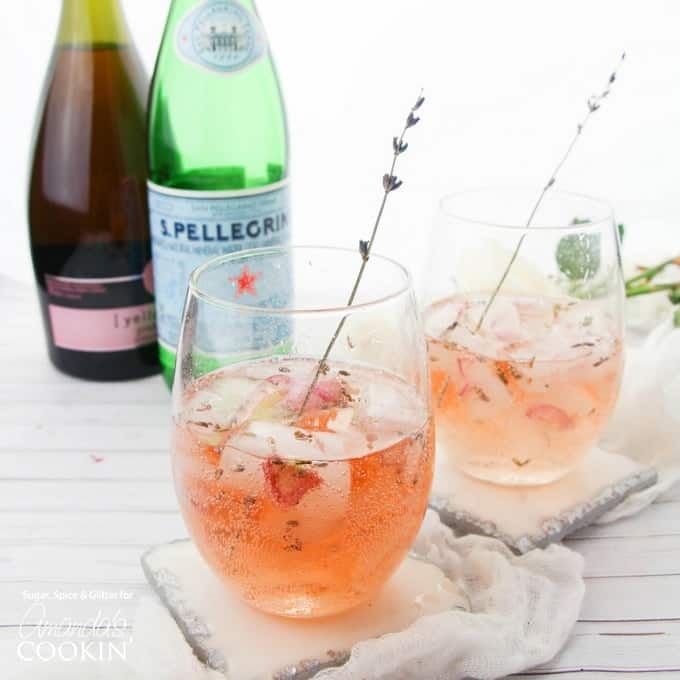 LAVENDER ROSE SPRITZER [sparkling rosé, club soda, lavender, rose petals] – Truly a lady’s drink, this cocktail is perfect for bridal showers, brunch, birthdays and yes, Mother’s Day. 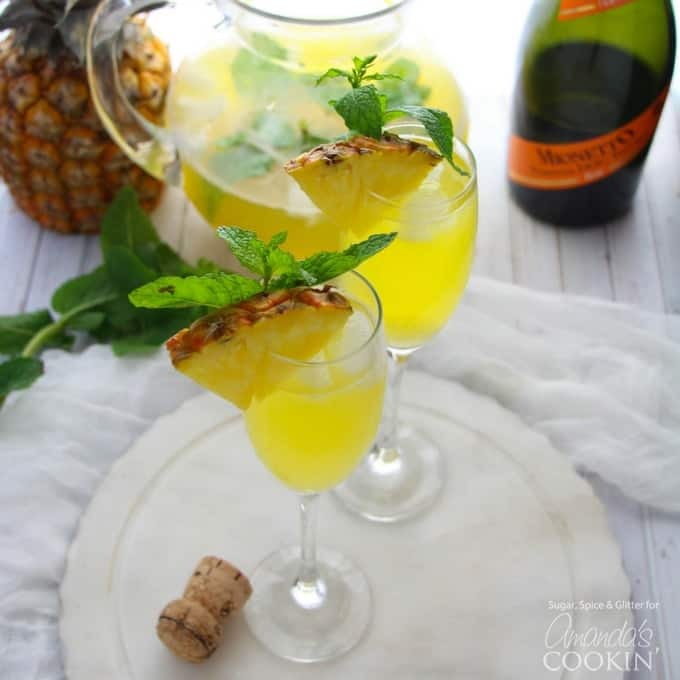 PINEAPPLE PROSECCO PUNCH [Prosecco, rum, pineapple juice, mango nectar] – Far less expensive than champagne, Prosecco offers a bubbly mimosa-like deliciousness you will love. 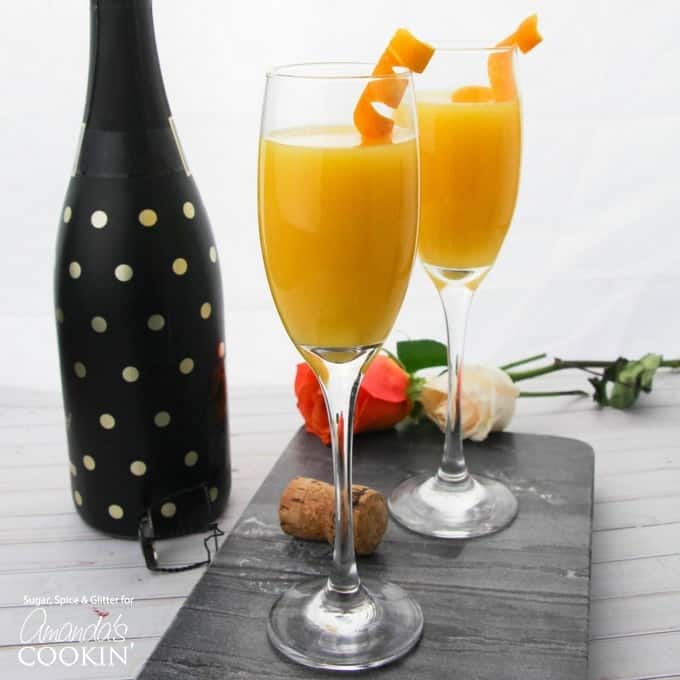 MIMOSAS [champagne, orange juice] – It’s a classic and it makes an appearance on brunch tables throughout the spring and summer months. 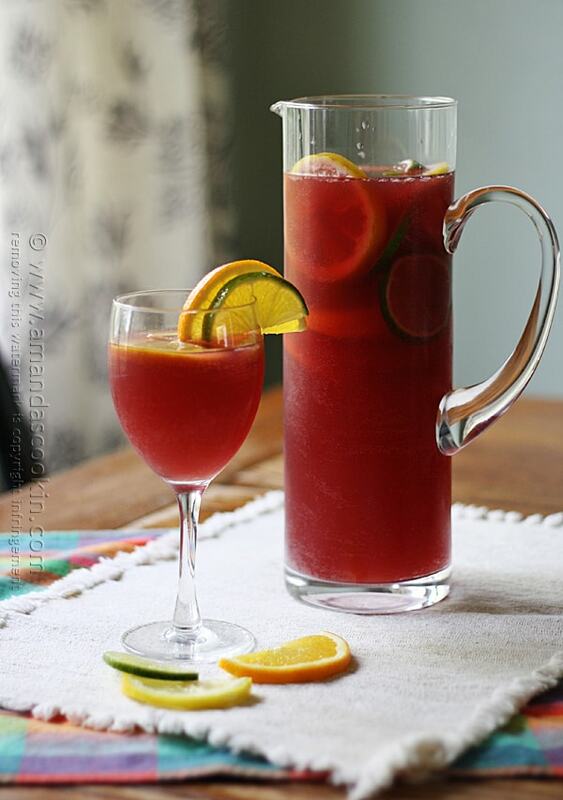 MEXICAN INSPIRED SANGRIA [Red Moscato, triple sec, brandy, orange juice, club soda] – Did you know that the word “sangria” is derived from the Spanish word “sangre” which means blood. Sangria was named because of its usually dark red color. 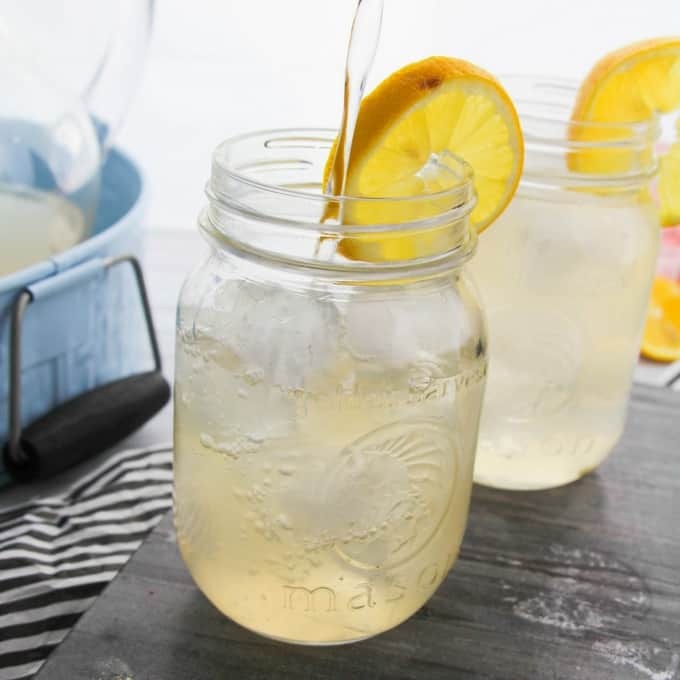 WHITE SANGRIA [White Moscato, triple sec, club soda] – Contradicting my statement above, this sangria is bright and beautiful filled with plenty of fresh fruit to snack on while you drink. 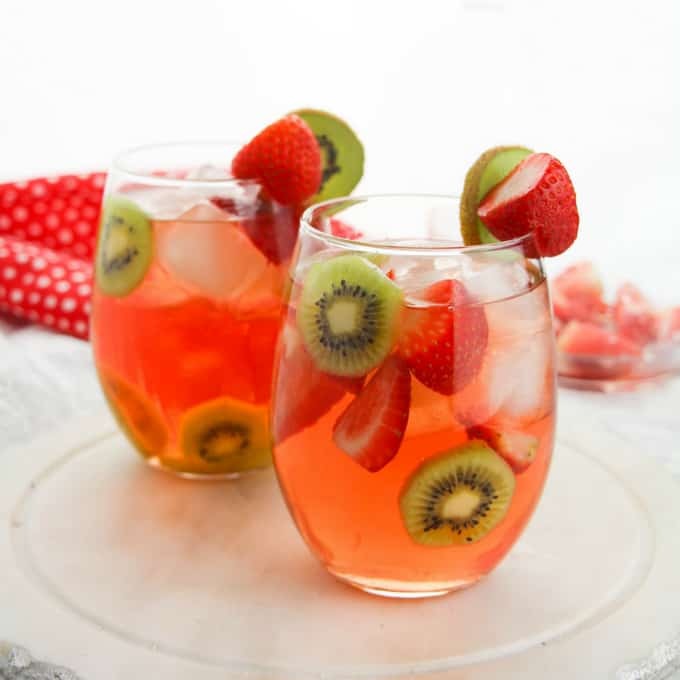 STRAWBERRY KIWI SANGRIA [sparkling rosé, vodka] – Sangrias have grown in popularity and much of the fun is coming up with different varieties! 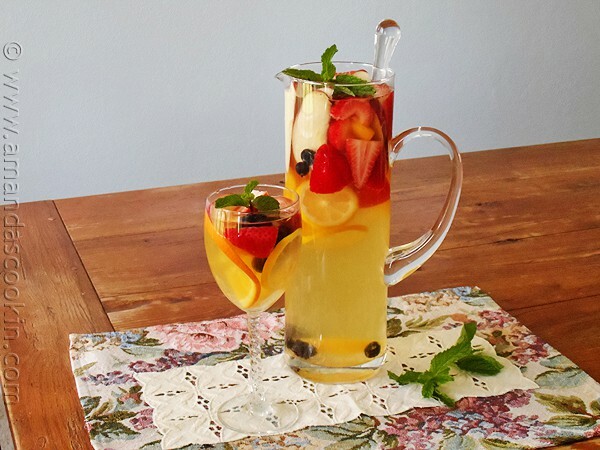 This version uses seasonal strawberries and tropical kiwis for the perfect summer sangria. 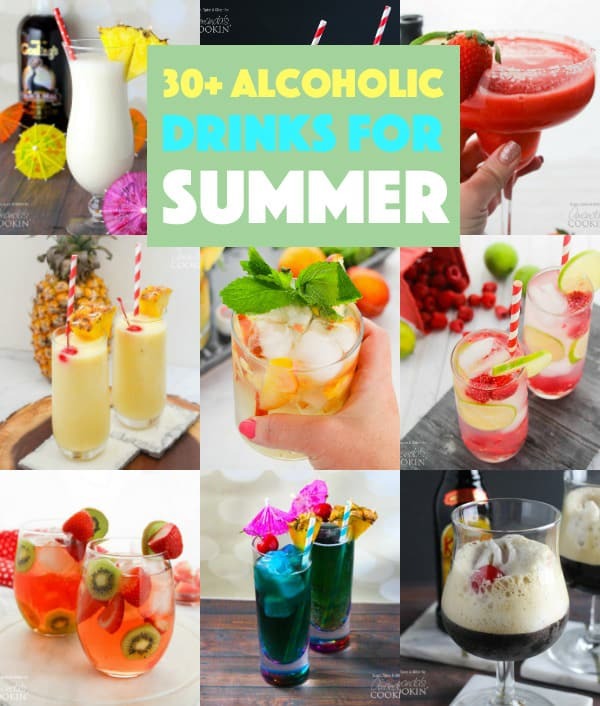 You are now armed with a multitude of alcoholic drinks to keep you refreshed all summer long. Always remember to drink responsibly. If hosting a party ask guests if they have a designated driver or take their keys and insist on an Uber or Lyft. Friends don’t let friends drive drunk. Enjoy your summer!